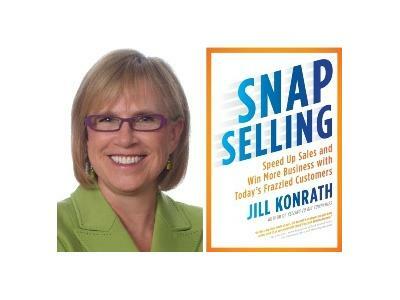 Jill Konrath is one of the foremost experts when it comes to sales and business aquisition. Her books have helped countless people discover confidence in their abilities and sell to enhance their lives and careers. The title of "sales" has a very negative connotation, but Jill will explain why so many are mislead about what true sales is and how it should be done. Jill Konrath is an internationally recognized sales strategist and bestselling author. 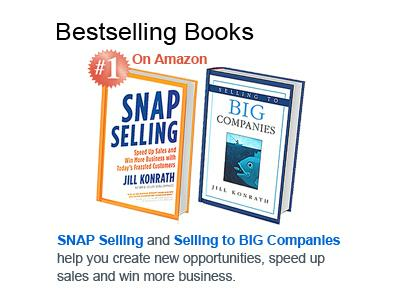 Her newest book, SNAP Selling, soared to the #1 sales book on Amazon within hours of its release. Her previous book, Selling to Big Companies, has been an Amazon Top 20 Sales Book since 2006. Fortune magazine selected it as one of eight "must reads" for salespeople along with classics such as How to Win Friends and Influence People. Jill’s industry-leading newsletter is read by over 95,000 subscribers worldwide. She’s also frequently quoted by top business media such as ABC News, Fox 2, Entrepreneur, New York Times, Selling Power, The Business Journal and many more publications. Jill began her sales career at Xerox, then moved into technology sales and finally she sold services. As a consultant, she's worked with companies like IBM, GE, Microsoft, 3M & Staples.